'The Best of Friends' tells the story of three real-life literary friends, their lives and their mutual affection. 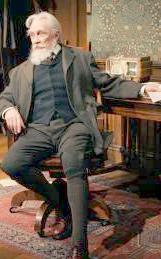 Sir Sydney Cockerell, curator of the Fitzwilliam Museum at Cambridge, George Bernard Shaw, Nobel Prize winning author, and Benedictine nun, Dame Laurentia McLachlan were close friends throughout their lives. Their unlikely but enduring friendship was based originally in learned discourse, and the intellectual sparring led to lasting affection. The story of these three remarkable figures and their affection for each other was pieced together by Hugh Whitmore from letters exchanged by the friends. 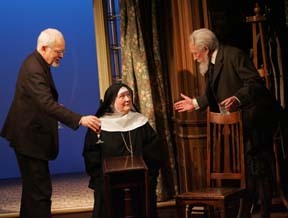 His play is a masterpiece of understated wit and charm, as well as being quite heart-rending in places. With a formidable cast, this is drama of the very highest quality. Their letters and essays have been woven into an unusual play about friendship, love of learning, and the inquiring mind s incessant search for answers to the big questions. 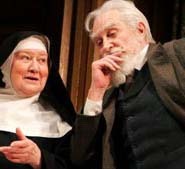 "What makes this a very pleasurable evening is of course Shaw's splendid wit, with a very sprightly Roy Dotrice playing the tweed knickerbockered, vegetarian Irishman with plenty of verve and impeccable comic timing...Dotrice is wonderful as Shaw. The epigrams trip off his tongue with exactly the right amount of detached amusement. "